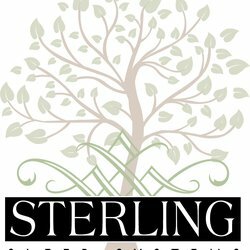 Sterling Sleep Systems calls their hardside waterbeds Wood Framed Waterbed Mattresses. Frankly, that is the definition of a hardside waterbed. It harkens back to the first waterbeds. The wood frame and the underlying platform were needed to keep the waterbed in place and support the sleeper. Sterling lists and describes twelve models of hardside waterbeds on its website. One retailer, The Waterbed Doctor, lists thirteen in three series: S-Series, Original Series, and Parkline Series. The Waterbed Doctor does not list the 5050 Free Flow, but adds the Sterling 9251 Wood Frame (Hard-Side) Waterbed Mattress in the Parkline Series and Sterling S-Class 700 Wood Frame (Hard-Side) Waterbed Mattress in the S-Series. All Sterling Sleep hardside waterbeds are 9" high to fit within standard waterbed wood frames. They range from free flow to super waveless in their designs. As with waterbeds in general, this is determined by the number of fiber layers in the water bladder. A free flow water mattress has no layers. Semi-waveless, waveless, and super-waveless have from one to many layers. The exact number depends on the thickness of the fiber layers. Two models in the Original Series, 9756 Super Waveless Hardside Water Mattress and 9306 Semi-Waveless Hardside Waterbed, trace their designs back to the original Sterling Sleep waterbed collection. 9756 has five layers of 1½ oz. fiber, and 9306 has two. 9106, another Original Series model, was modeled after the original waterbeds of the 1960s, before Sterling Sleep was started. These versions have been updated with the introduction of Sterling's Endura III vinyl. The signature feature of the S-Series is the molded top of the mattress, This firmer top surface smooths out the support of the water. Three of the current Sterling Sleep hardside water mattresses (700, 600, 9876) are water-spring hybrids. Near the bottom of the water bladder are enclosed spring units. These are Progressive Rate Springs (PRS). The rate of compression resistance increases as the spring is compressed. Larger PRS springs are used in automobiles, trucks and motorcycles. For Sterling to use them in mattresses is an innovation. The PRS units in Sterling Sleep waterbeds are for edge support and lumbar support. In non-PRS models, lumbar support is provided by additional fiber layers. Hardside waterbeds in general cost less than softside models, since softside waterbeds have the frame built in. The wood frame of a hardside mattress is a separate item. Other features of Sterling wood frame water mattresses are tethered fiber layers and black bottoms (for absorbing heat from the heater). Warranties on Sterling Sleep hardside waterbeds are for 20 years. The non-prorated portion is 4 years on some models and 3 years on the other, except for 5050 (the only one not made in the USA) with a 1 year full warranty.